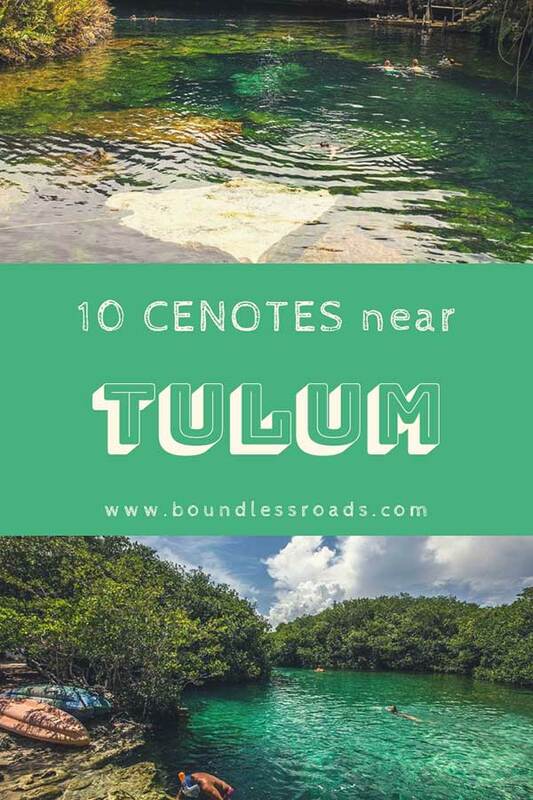 There are at least 10 cenotes that you can visit near Tulum, which make a great half day trip if you are staying in Tulum or in the nearby area. 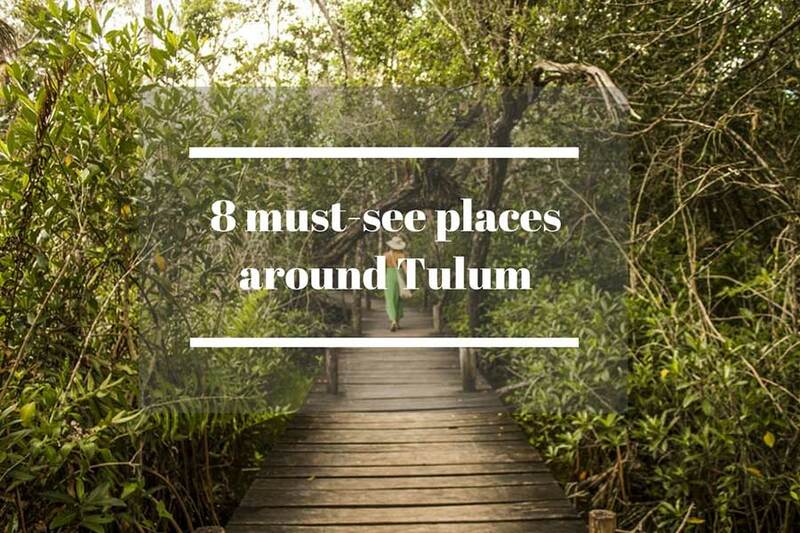 If you haven’t booked your accommodation yet and you need a guide on where to stay in Tulum, this post will help you for sure. Did you know that Cenotes were considered sacred places by the Mayan and were used not only to get the water they needed for their sustainability but also for some of their rituals? We still have a religious devotion for such beautiful natural oasis, a true gift of nature. Cenotes are in main concentration in Yucatan around the famous Crater. You can read about it here. 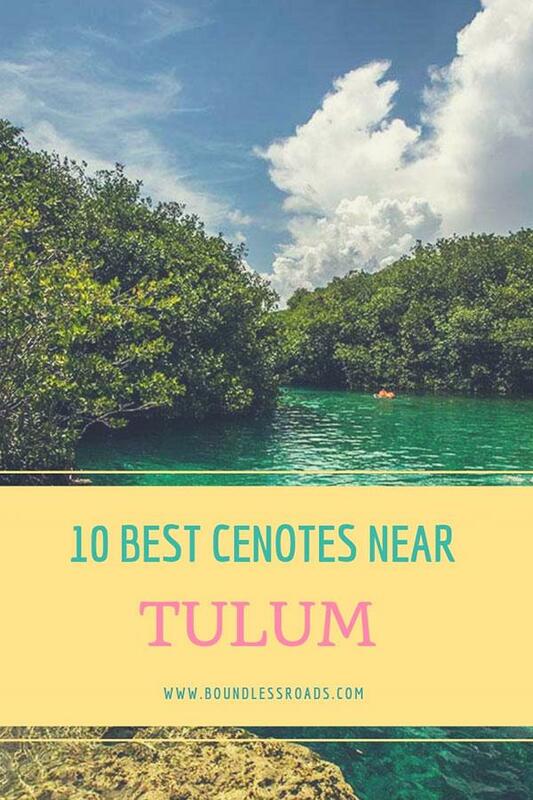 There are many cenotes near Tulum as well and you can visit them in a half a day trip or more depending on how long you wish to swim and enjoy the refreshing water or explore the nearby places. 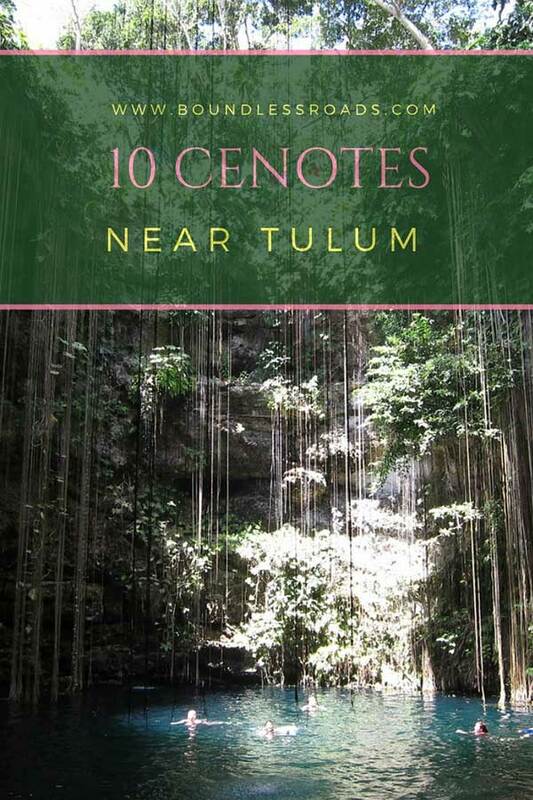 Here I am going to give you a list of cenotes near Tulum and the nearby attractions. This open cenote looks like a lake, and it’s right by the road. It’s an internal unpaved road that you take from the Carretera Federal going towards the sea, follow the indication to Pavo Real Resort at about 9 km from Tulum. It’s right after the hotel on your left-hand side. The cenote is called Manatì for the presence of these funny marine mammals whom you can now rarely see as they have been unfortunately scared away by the human proximity. You can pay the entrance at the restaurant opposite the cenote, called Casa Cenote. There you can also find cheap accommodations. The entrance is about 8$ (150pesos)and it includes the life jacket. The beautiful swim will take you to the sea and when you approach the salted water you will realize how the seawater is mixing up with the sweet waters, a phenomenon that if you are snorkeling or diving underwater will make your sight blurred. Right in front of the cenote there is a pebbled beach with transparent water and the reef just at a few strokes. You can either snorkel or dive. There is a diving center right across the road where you can rent equipment or book your diving. Blue Sky Hotel Right there at a few mt after the cenote there is this cute little hotel with elegant simple rooms and sweeping views. 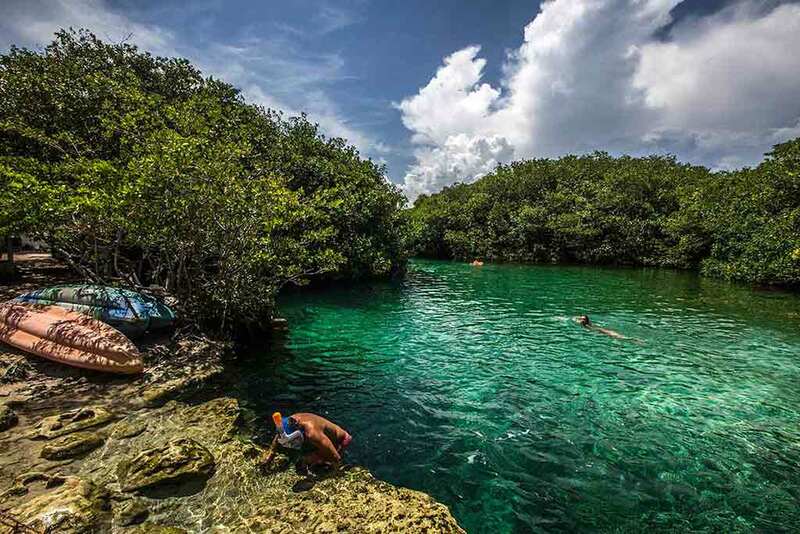 These two beautiful cenotes are located right past Tulum coming from Playa del Carmen, at less than one mile from the city center. If you are staying in Tulum you can easily reach them by bicycle. You pay the entrance at the cenote Crystal and it is good also to visit the cenote Escondido, located on the opposite side of the road. Cenote Crystal ( on the main picture) is a huge open cenote, surrounded by thick and lush vegetation reflecting on the blue water that makes it even more beautiful. It’s 7 meters deep and you can both swim and relax or jump from a tall platform built for the courageous ones. There is also the possibility to dive. 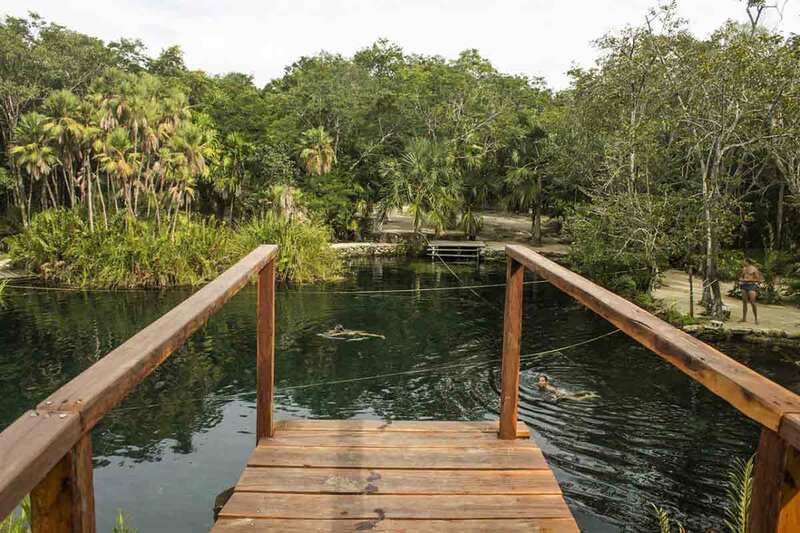 Cenote Escondido – on the other side of the main road, is also a precious place even more uncontaminated, if you like. There are a couple of cords that allow you to play Tarzan. Or you can just swim around. Opening hours: Open from 8 to 5. By Car – Get on the main road (ruta 307) from the beach road to downtown Tulum, and keep going towards Muyil, Bacalar, then you can see the signs on your right-hand side. Also, you can check the map here below where the cenote you are interested in is approximately located. By Bike – Coming from the beach road, just pass the town and keep going. You will find it on your right. By Taxi A taxi from Tulum downtown of from the beach can take you there. Ask the price first. The Gran Cenote is one of the most popular and, no wonder why. It’s really beautiful, and more spectacular than the above-mentioned Cristalino and Escondido, just for the fact that it is a cave cenote. 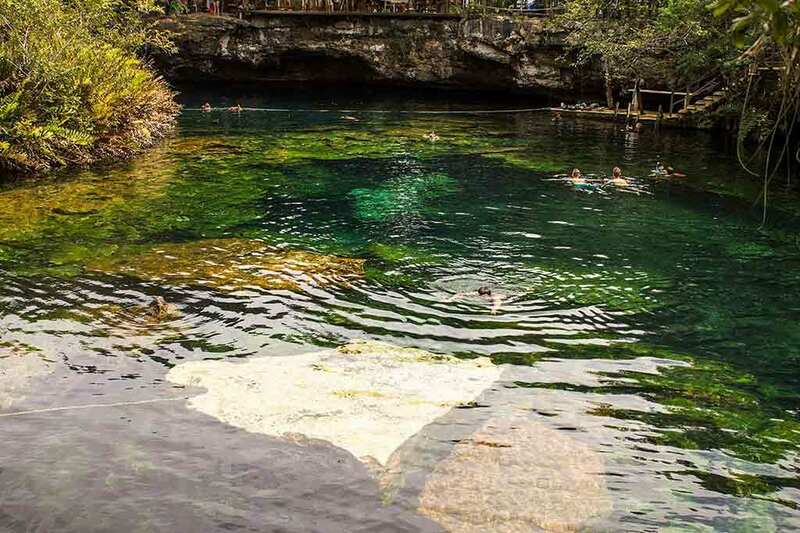 You will enjoy playing hide and seek to go through one cave and coming out on the other side, just like the Cenote Dos Ojos, here mentioned. Unfortunately, it is always busy and it is rare that you really can enjoy it fully by yourself. I know that I have been quite spoiled for living there and having the chance to explore more secluded and isolated cenotes. Maybe try to go very early morning when it opens, around 8 so that you might be able to be alone and really appreciate it more. Cenote Calavera is situated at about 10 km from the Grand Cenote, on the way to Coba. I haven’t been here as it is especially known among the divers. The cenote is in fact very small apt for jumping and continuing the exploration underneath the surface. But there is not much space for swimming around and enjoy it. Even if you don’t dive you can still admire it for 50 pesos and have fun jumping from the rim. From Tulum, you can go by bicycle or taxi. In Coba’ you have three amazing cenotes, located close to each other. I would really suggest you should visit them on a full day visit of the area. Maybe in The morning visit the splendid archaeological site of Coba and then go to the cenotes to take a deep and cool down and relax. Here I am explaining all about them in details. There are quite a few decent options but my favorite is Coqui Coqui. right on the way to the cenotes but on the Lagoon. It’s a stunning oldish looking property – artfully decorated. Very intimate and elegant. It’s huge and you can literally spend the day there. I did. Iloved the rock formation inside of it and it makes is a spectacular subject for pictures, besides having fun snorkeling around them. It is also surrounded by a lush generous vegetation. 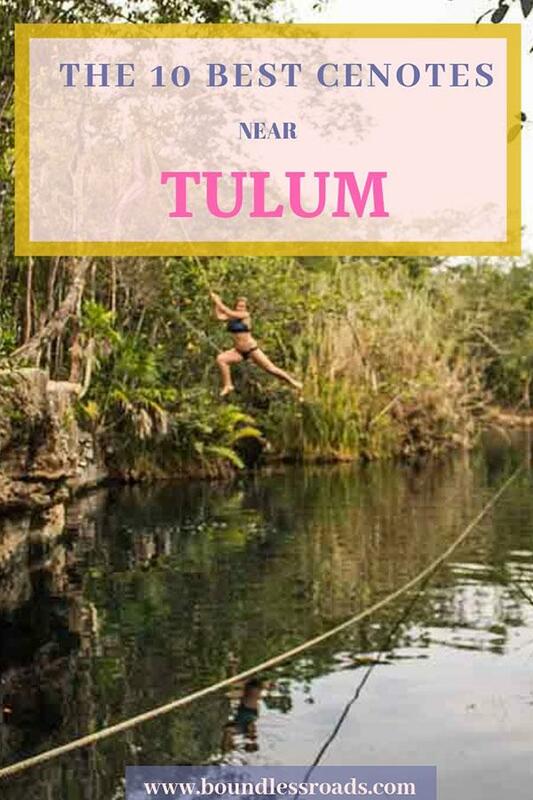 The Cenote is located at about 40-minute drive from Tulum on the direction of Playa del Carmen. 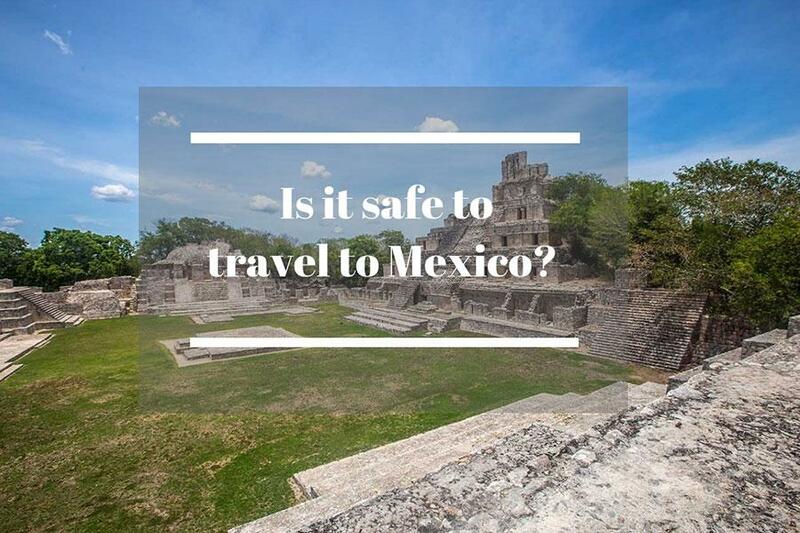 That is a fabulous location as it’s close to my favorite beaches in the Riviera Maya, Akumal and Xpuha. 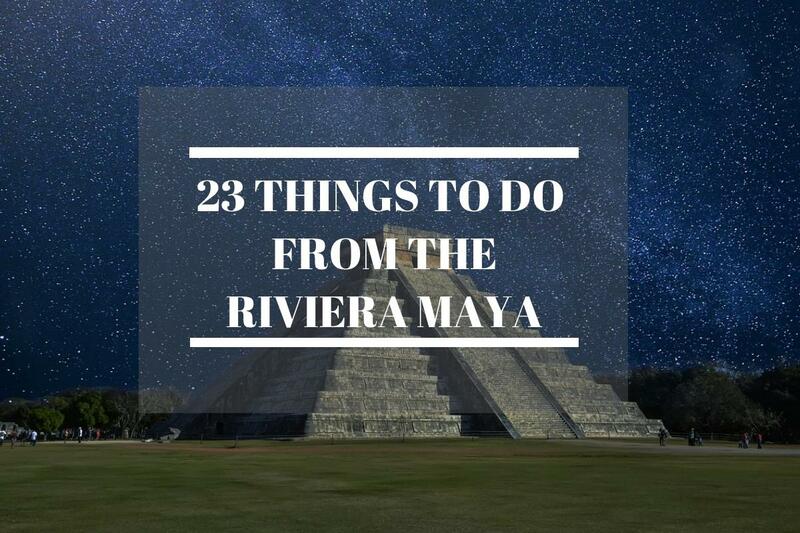 So you can actually spend the entire day among cenote and beach. If you also wish to know more about the best beaches of the Riviera Maya you can click here. As in every natural place I always like to recommend to follow some commonsense rules in order to preserve the environment which I am sure you know already but a gentle reminder is never in excess. before jumping from a platform ask where it’s safe and deep enough to land. DON’T MISS MY LATEST ARTICLES! FULL DISCLOSURE: This post may include affiliate links. It means that if you purchase a service or product through those links I will get a small commission at zero cost for you. It will help me to support my work. Thank you so much in advance for contributing to keep this site alive!